Since taking part in the Spice of Life CAL last year, I've really been looking forward to starting up another yarn-along, and in particular I wanted to try out a knit along (KAL) seeing as I had already tried the crochet scene. 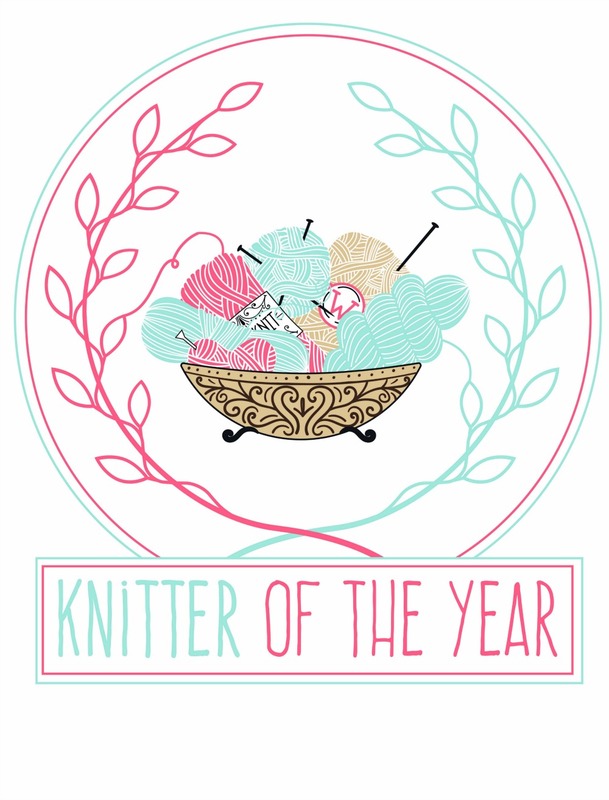 So I was delighted when we started a KAL in the latest issue of Knit Now! Issue 71 sees the introduction of the Enchanted Cottage KAL (mmmm that name!) and over the course of the next year, each issue will reveal a new square that will result in a scrumptious blanket at the end of the project. This is a mystery KAL which makes it all the more exciting, as I have no idea what the finished blanket will look like. I say each issue has a new square - actually there are 3, because there are 3 blankets to choose from! 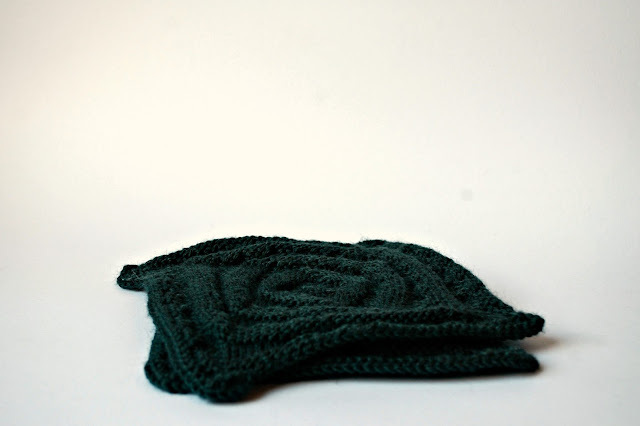 Acorn Cottage is great for beginners, and is knit in WYS Aire Valley DK. 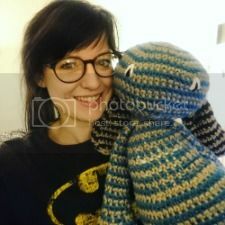 Blackberry Cottage is perfect for knitters with a little more experience under their belt, knitted with WYS Bluefaced Leicester DK. And finally, the blanket I am working on, is Hyacinth Cottage, one for the creative/experienced knitter who would like a little bit of a challenge with each square. 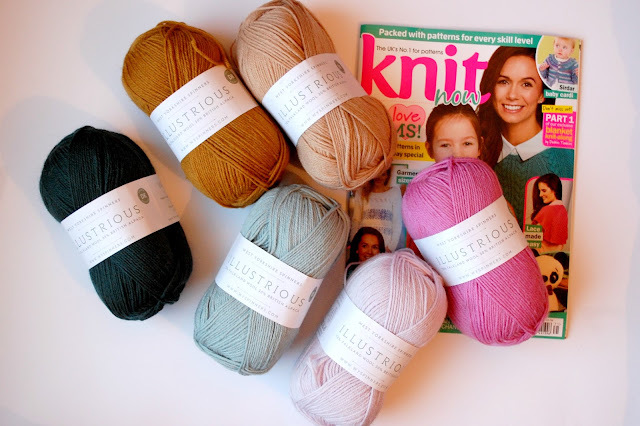 This is knitted with WYS Illustrious, a scrumptions 70% Falkland Wool 30% British Alpaca wool that is b-e-a-utiful to knit with! It's so smooth and SOO SOFT - I had so much fun knitting the first square! 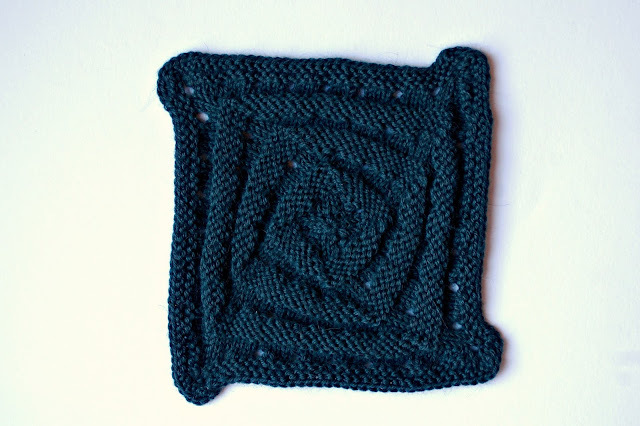 The first square is the galaxy spiral, an absolutely fascinating design that is knit in the round from the centre out. The knit and purl ridges make this wonderful texture that is so mesmerising to look at - seriously, when I finished I couldn't stop looking at it, and every time someone came over this week I just had to thrust the square under their nose! 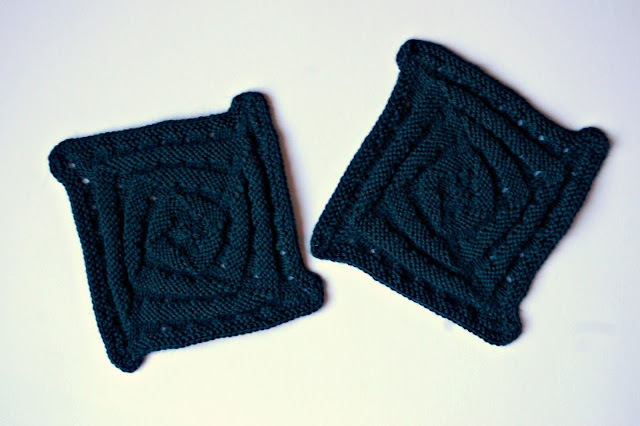 The pattern recommends beginning with DPNs and then moving onto circular needles, but I found it just as easy to start on the circular's with the magic loop method. It was so so much fun to knit, simple repetition but with the challenge of increasing steadily, yarn overs, and also a 3 stitch increase that I rather enjoyed once I read the pattern correctly. I loved it so much, that I decide to knit a second. That's the beauty of this KAL - 1 square a month will give you a blanket, and 2 squares a month will give you a bigger blanket, score! I've set myself up for knitting 2 a month, as I love to snuggle in as large a blanket as possible. That, and my tension is very tight, so where finished squares ought to finish measuring 20cm across, mine are closer to 15cm. But that won't matter as long as I keep it consistent (probably should knit a tension square - learn from my error people!). This is going to be a nice pile of squares soon, and after that, a blanket yes yes! Are you joining in the KAL? 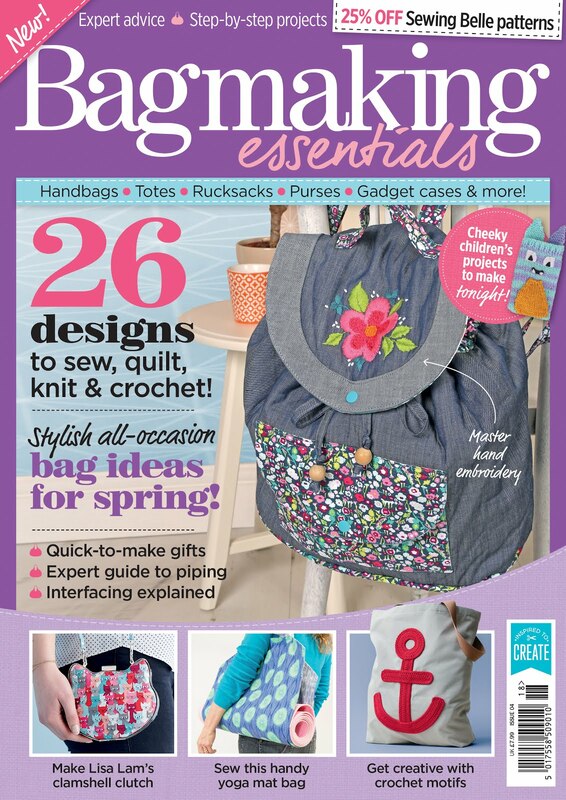 You can find out some more information on the #EnchantedCottageKAL on the Knit Now website, and of course make sure you grab issue 71 from your local shop or online so you can get started! I'm going to be updating my progress on the blog, and I will aim to have my squares up not long after the next instalment is available so you will have plenty of time to knit along with me! 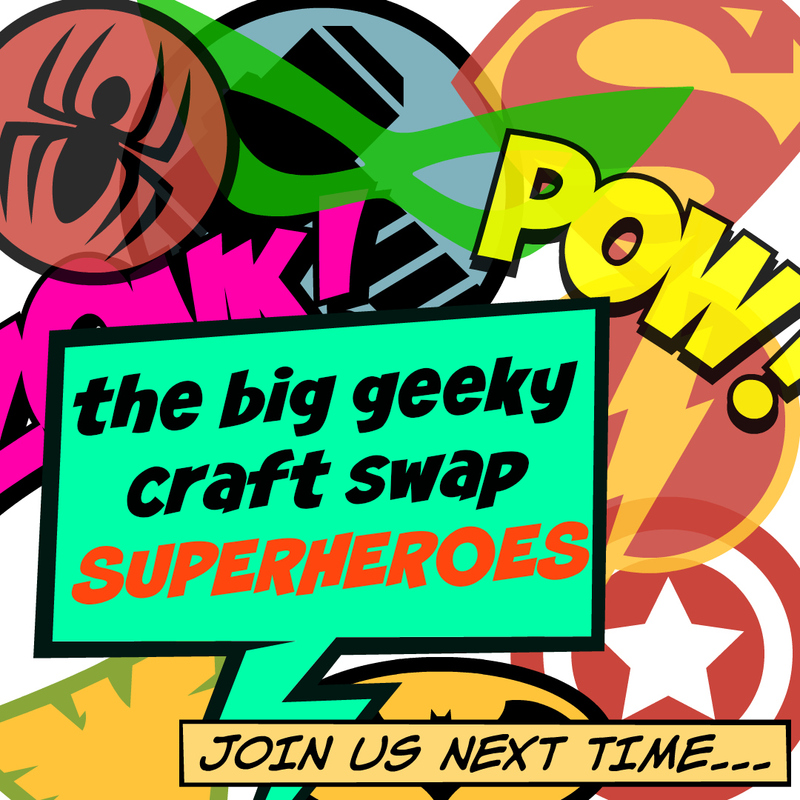 PS - sign up for the #biggeekyswap is still open! Sign up closes next weekend, so hurry if you want to join in! Find out more about the swap here, and click the button on the right to sign up! See you there!